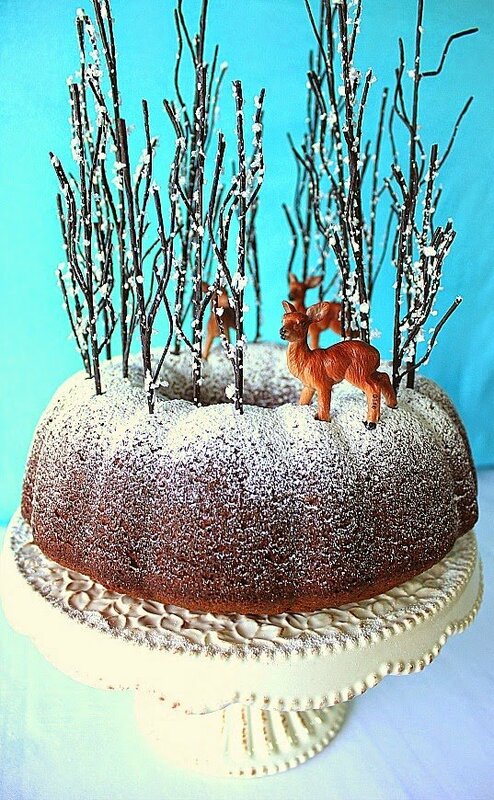 This Snow Covered Gingerbread Forest Cake was inspired by Germany’s black forest. 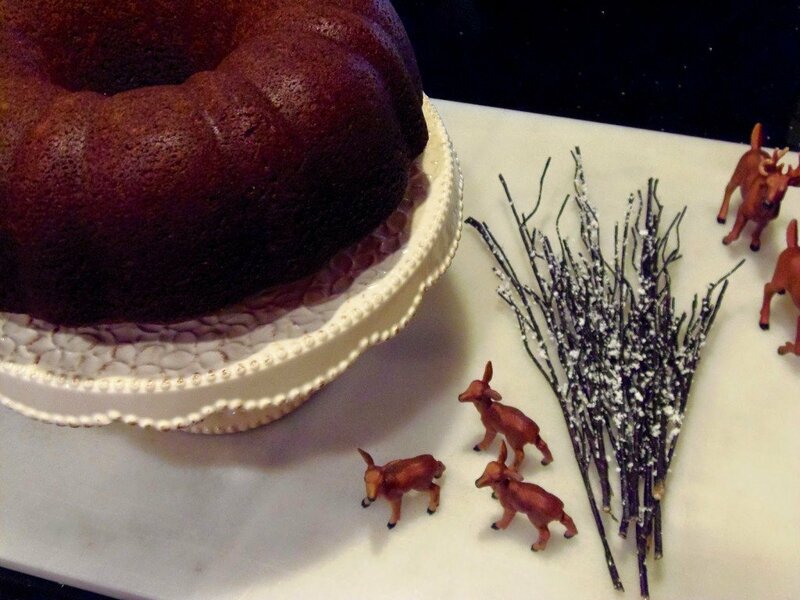 This whimsical cake can serve double duty as a centerpiece on your holiday table, and your delicious holiday dessert! Many years ago I did something similar to this Gingerbread Mountain Cake and used it for our Christmas eve centerpiece. The only difference was that I used cut pieces of gingerbread cake and stacked them up on a plate. I didn’t blog about it then, but it’s been on my mind ever since. This year I knew that I wanted to recreate the design but in a simpler way. 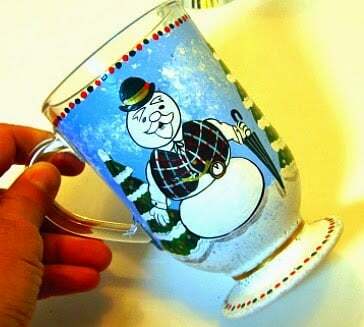 Here is a picture of the one I had done in Christmas Past. 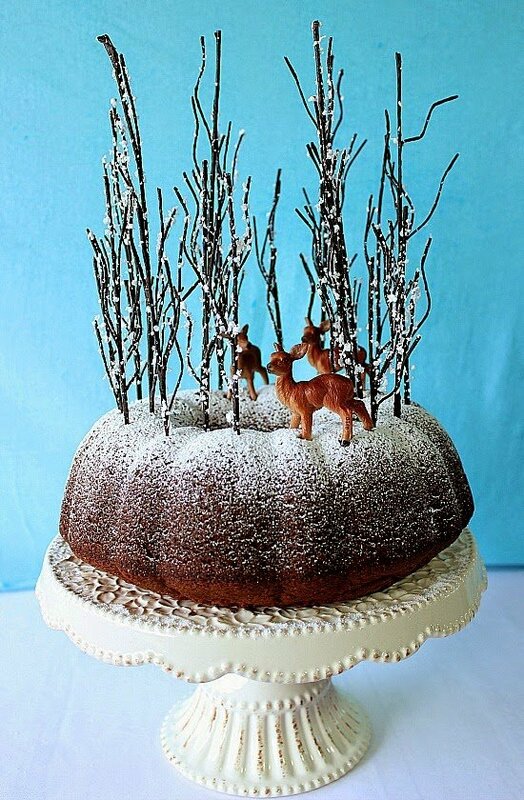 If this Snow Covered Gingerbread Forest Cake is something you’re interested in replicating, you can find the tall, snow covered trees, along with little plastic deer, in the toy train department of your local hobby and craft store. From there, the rest is left up to your imagination. 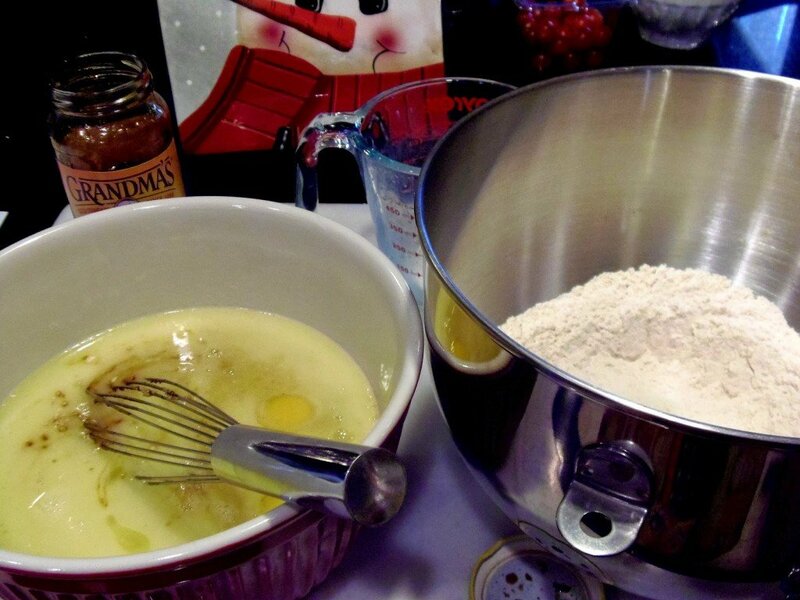 -In a large bowl, whisk together the flour, ground ginger, cinnamon, salt, baking powder and baking soda. Set aside. 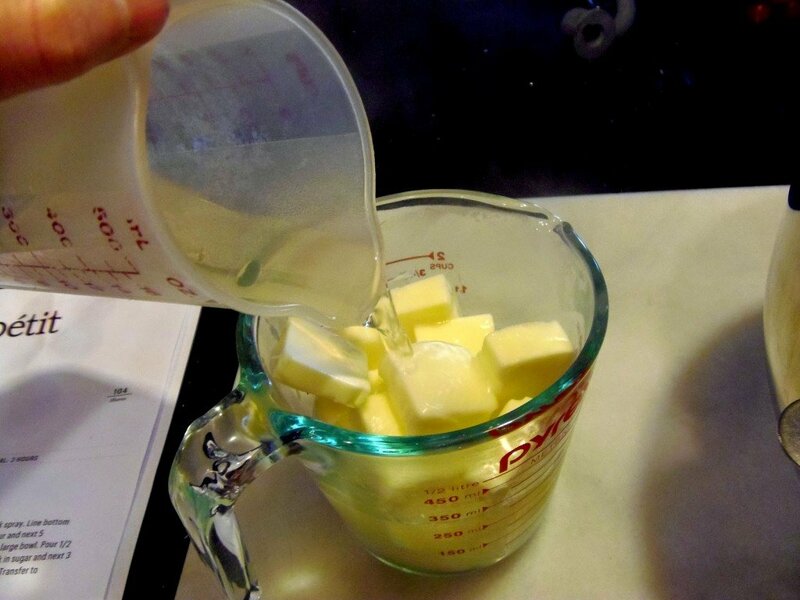 -In a medium bowl, pour the boiling water over the cut up butter. 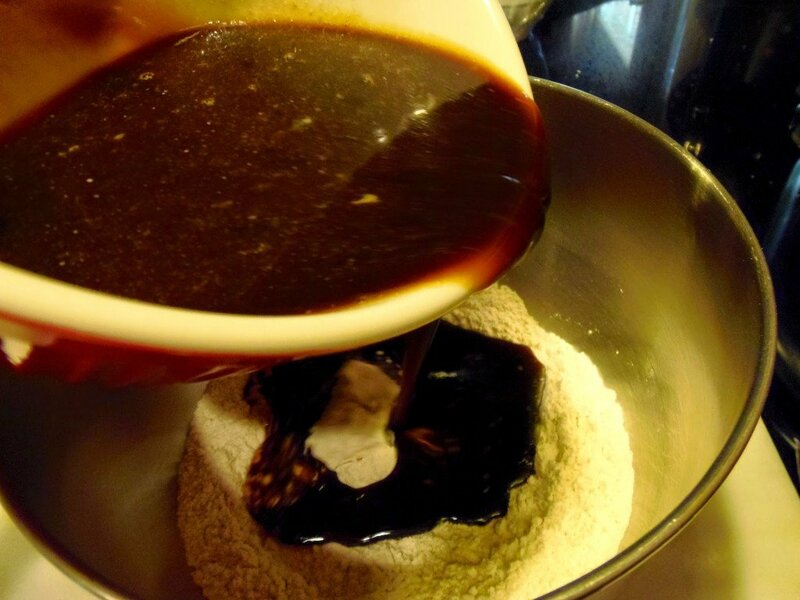 Whisk in the light brown sugar, molasses, ginger paste and vanilla extract. 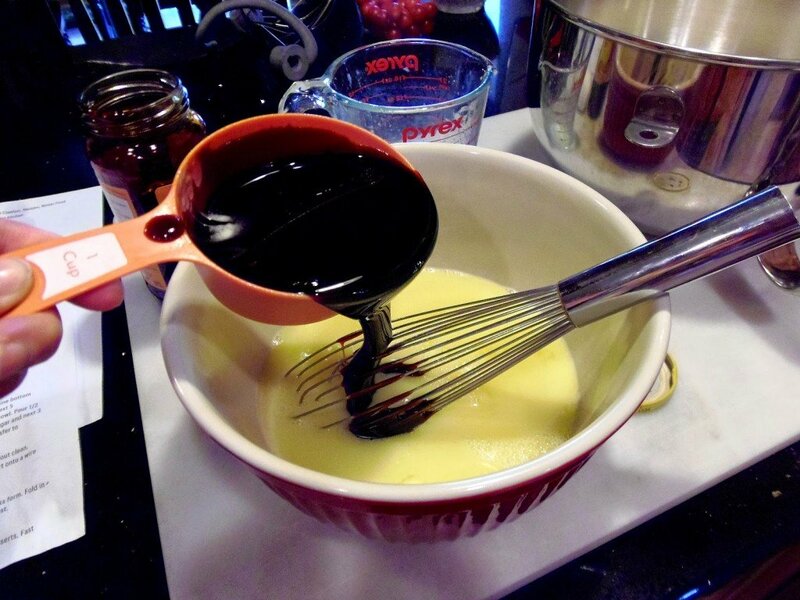 -Add the eggs to the wet ingredients and whisk to combine. -Pour the wet ingredients into the dry ingredients and whisk well to combine. 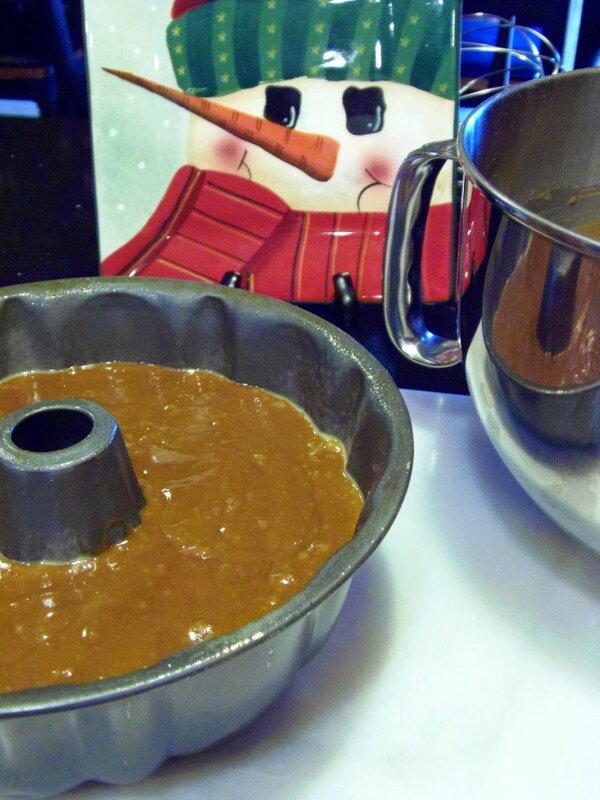 -Pour the gingerbread batter evenly into a prepared bundt pan that has been sprayed with baking spray. 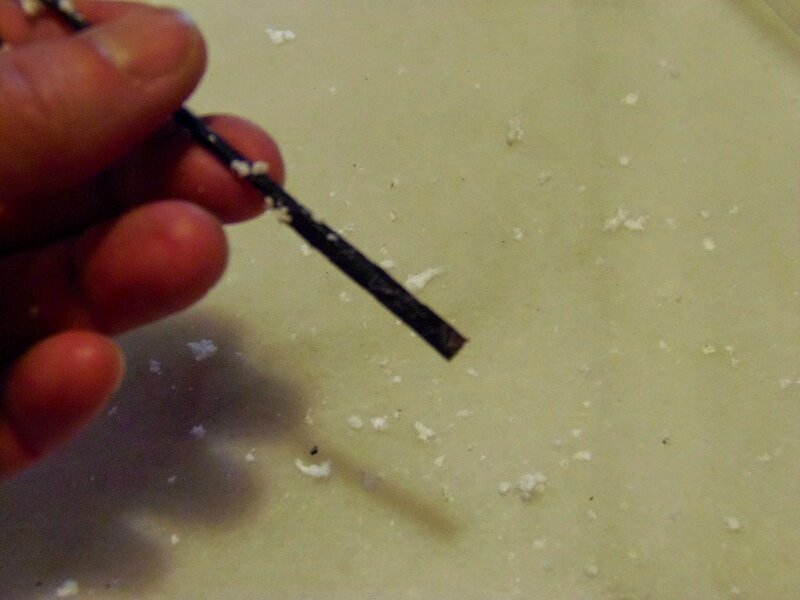 -Bake in a preheated oven for 50-60 minutes, until a toothpick inserted into the center comes out clean. -Remove to a wire rack. Cool 15 minutes and carefully turn the cake out of the pan to cool completely. -Place the cake on a serving plate and dust the top with powdered sugar. 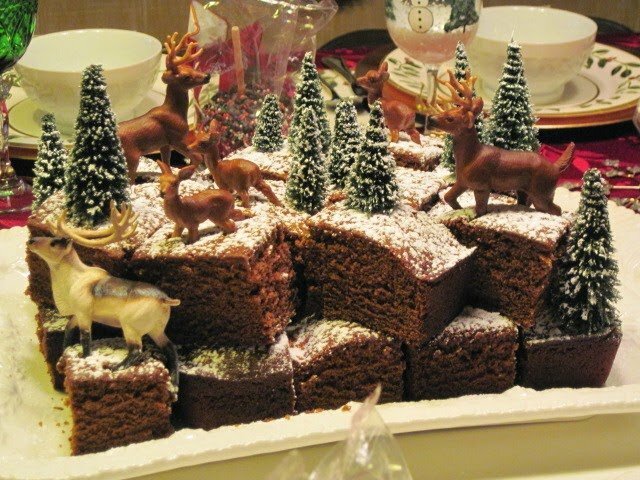 -Decorate the gingerbread mountain with assorted trees and deer. *Note – The decorations are NOT edible! Please remove the trees and animals before slicing and eating! Combine the dry ingredients in a large bowl. In a medium bowl, pour the boiling water over the butter. 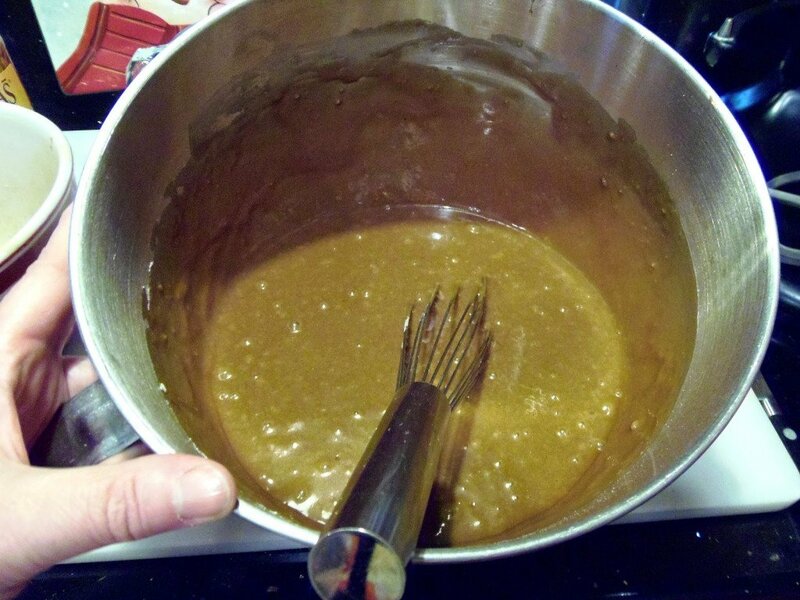 Stir the brown sugar and molasses into the butter and water mixture. 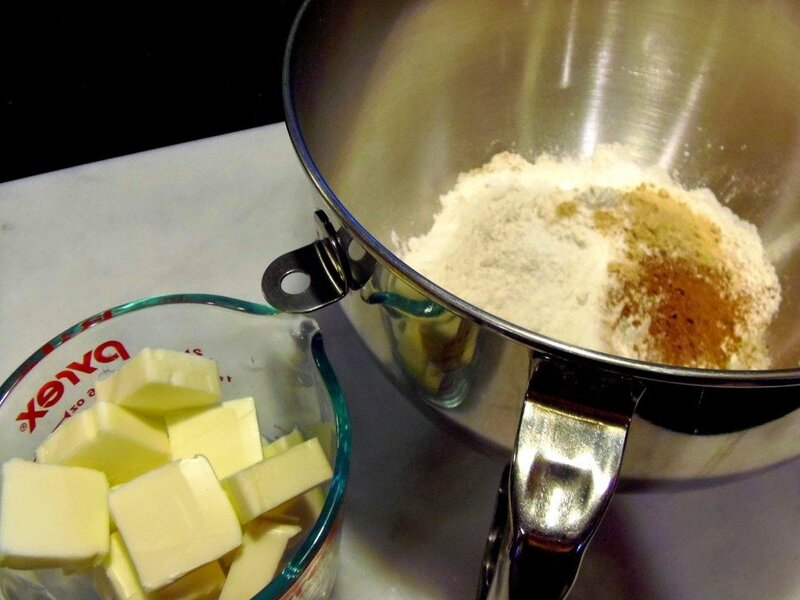 Pour the butter mixture into the dry ingredients and whisk well to combine. Pour the batter evenly into a prepared bundt pan. Bake for 50-60 minutes. Cool completely. 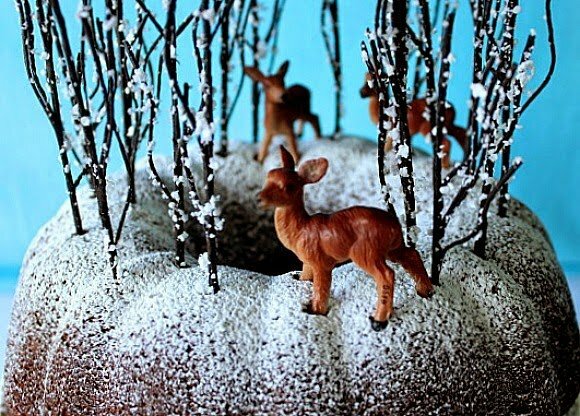 Dust with powdered sugar and decorate with trees and deer. Cool the baked cake completely on a wire rack. Dust the top of the cake with powdered sugar and decorate. 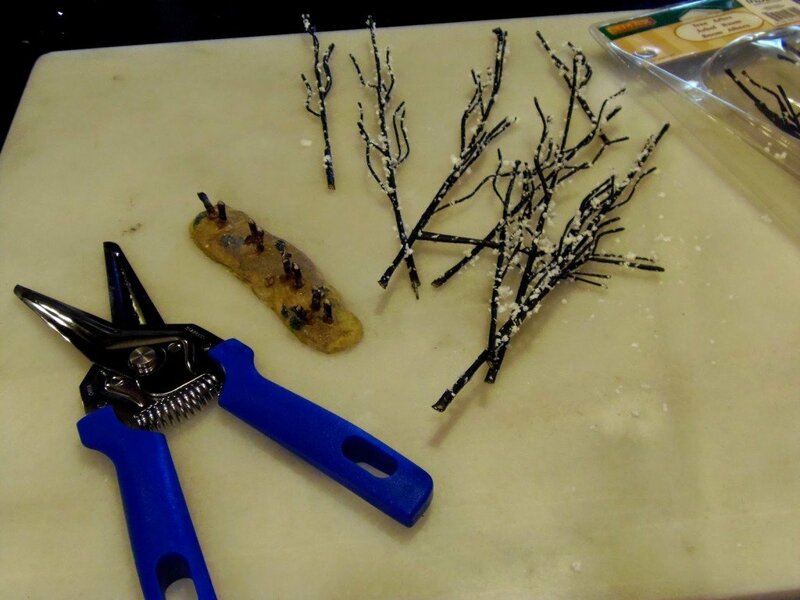 Depending on the kind of trees you choose to work with, wire cutters may be needed. 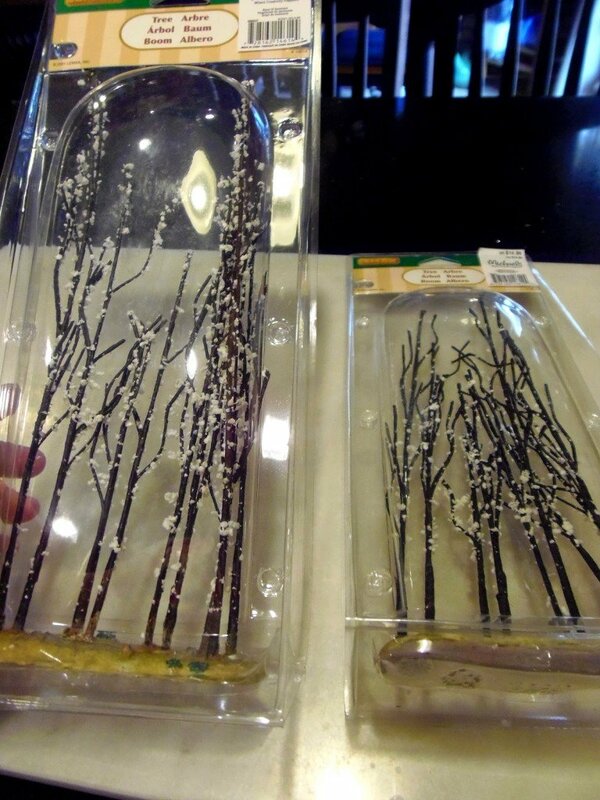 Be careful cutting the branches of the trees and do not let children attempt this task unless supervised by an adult. Hand strength is required so little children should not be allowed to cut the trees. 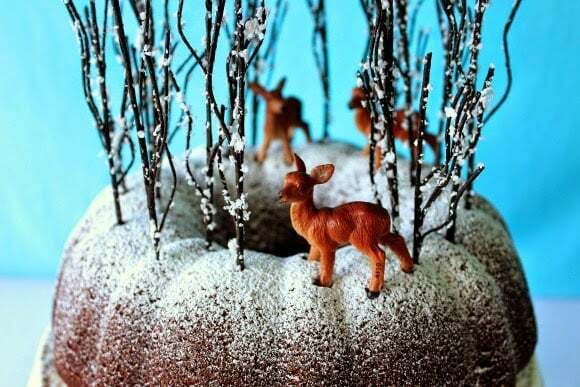 Clean the bottom of the trees before adding them into the cake and place the deer in among the trees. I’m dreaming of a white Christmas… are you? Speaking of a White Christmas…this Gingerbread Mountain Cake (and it’s background) brings back many fond memories of the classic holiday movie starring Bing Crosby, Danny Kay, Rosemary Clooney and Vera-Ellen. 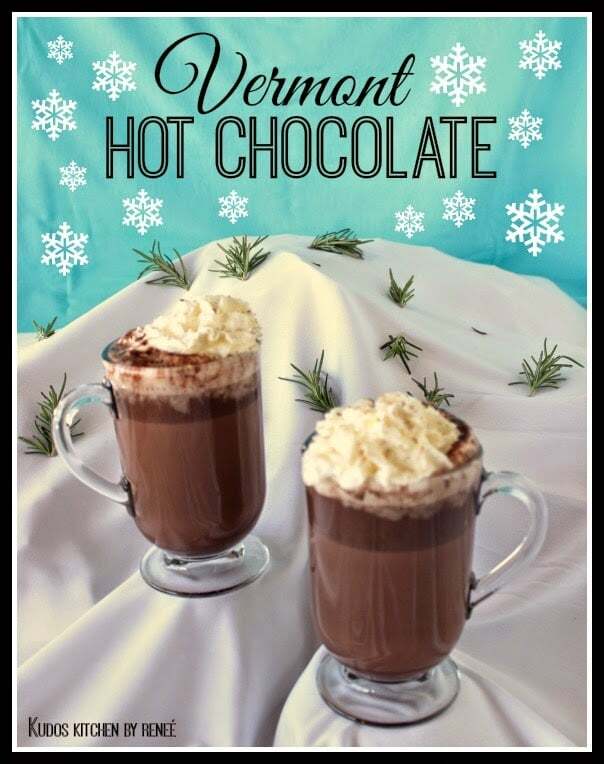 The movie is one of my absolute favorite Christmas movies and inspired my recipe for Vermont Hot Chocolate (please click on the recipe title to be taken to the recipe). If you’re a fan of that movie (as I am), you’ll recognize that iconic scene that I tried to mimic in the photo above. If not, please click here and you’ll see the scene that I’m speaking of. For me, Christmas just wouldn’t be Christmas without seeing that scene at least once each season! If there is ever anything I can paint for you, please don’t hesitate to contact me or visit my shop (closed until early 2015). Custom orders are always welcome, and I can work from any photo or description you send my way. Thanks for visiting! You’re always welcome in my Kudos Kitchen! This is quite pretty Renee as was your own version you did years ago. They both make nice centerpieces and great conversation starters! 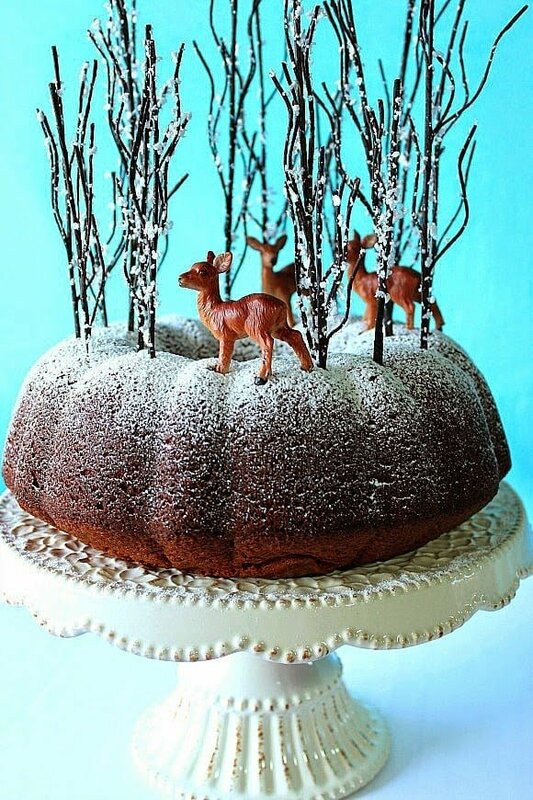 This is magical, I would love to have it on my holiday dessert table! I absolutely adore this, Renee! I prefer these trees (though I like the bottle brush ones, too) – I love how the deer look like they are in a winter forest. So pretty. That is just so darn pretty, Renee! What a special dessert for the Christmas table. This cake absolutely looks great – and I LOVE how you've decorated it! I *love* it! What a gorgeous presentation, Renee! I much prefer the tall trees because they're elegant, yet haunting. What a gorgeous Christmas dessert! The cake is so whimsical, I love it! This is such a great idea! So festive and I bet the cake is amazing! That's your centerpiece?! How beautiful!! I want a seat at your Christmas table!! Renee – this is stunning!!! What a gorgeous centerpiece for Christmas! A Wonderful Cake!!! But your presentation is soooo perfect. Very very very festive and nice. This is your centerpiece?! IT IS breathtaking!! So whimsical. So beautiful! I'd slap anyone's hand who'd try to eat it. LOL.